Give online quizzes and surveys to assess learners at any time during the course, including pre- and post-test assessments. We give you the tools to fully assess your learners. Multiple choice, true-false, essay, and other common question types are supported. Provide feedback to the learner during the assessment, either globally, specific to the question or the user’s response. Instant, downloadable, and always available. As many as you want! If you need your certificates to look a certain way we have you covered. Custom design certificates and create as many as you need. Learners always have access to their earned certificates. 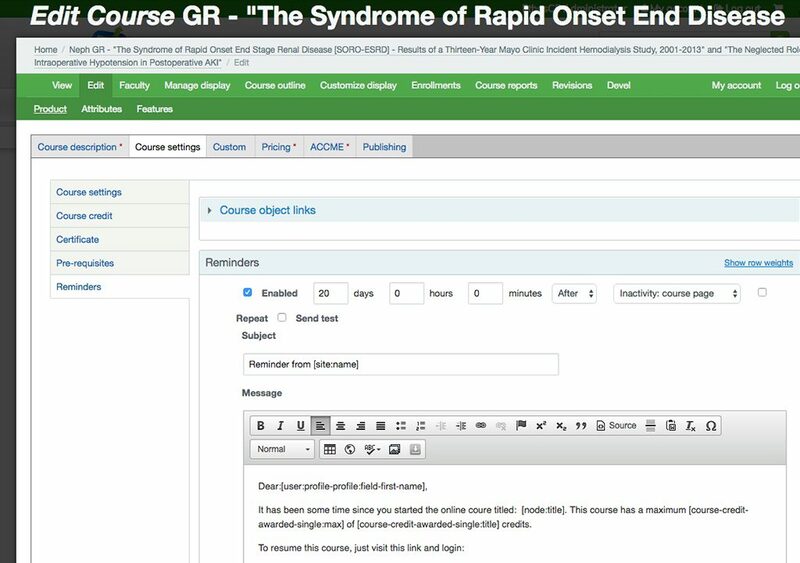 Use tokens to fill in learner name, address, course title, credits, date and more. Embed images for seals and signatures. Design your certificate in a simple rich text editor or use full-HTML mode. 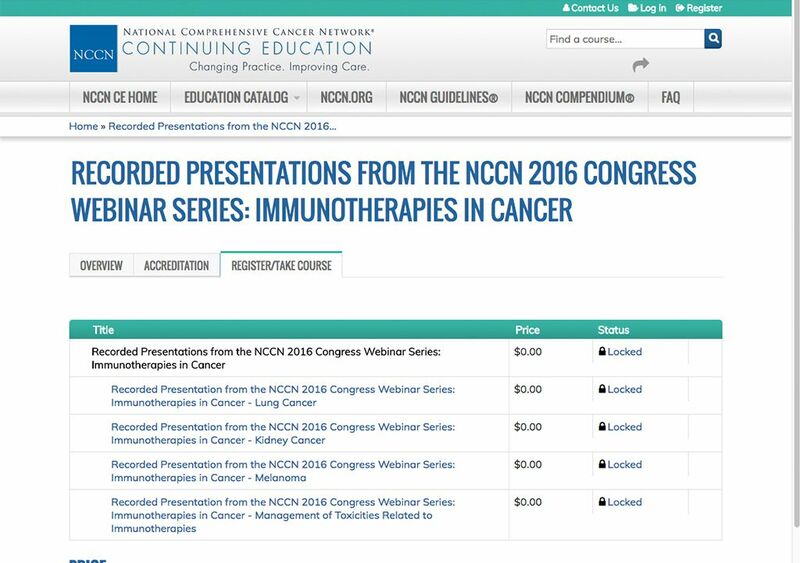 Display the number and type of CE, CNE, CME and other CEU credits. Reduce back-office work by allowing your learners to reprint certificates at any time. Engage your learners with rich multimedia courses! 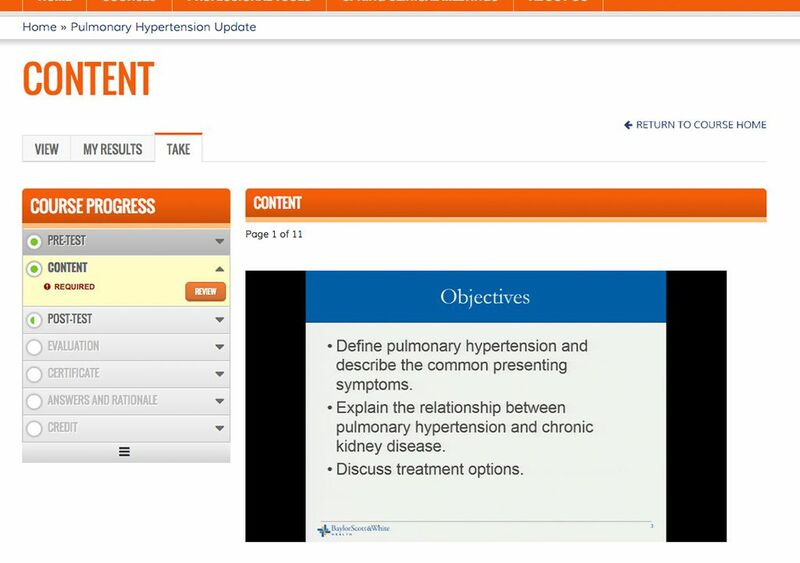 Create live courses for meetings or instructor-led training or put all your learning online in an enduring format. Easily add video from YouTube or upload your own video or Flash learning content. Restrict and or hide course components based on time or pre-requisites. Make sure your learners don’t forget to complete that course before it expires. Set up a reminder for any course component, too! Welcome learners with custom email after enrolling. Reminder users to complete a course after getting started. Notify when a follow-up assessment is available. Send emails when your live event is about to happen and send another one when it is over. Highly configurable credit and certification tools. 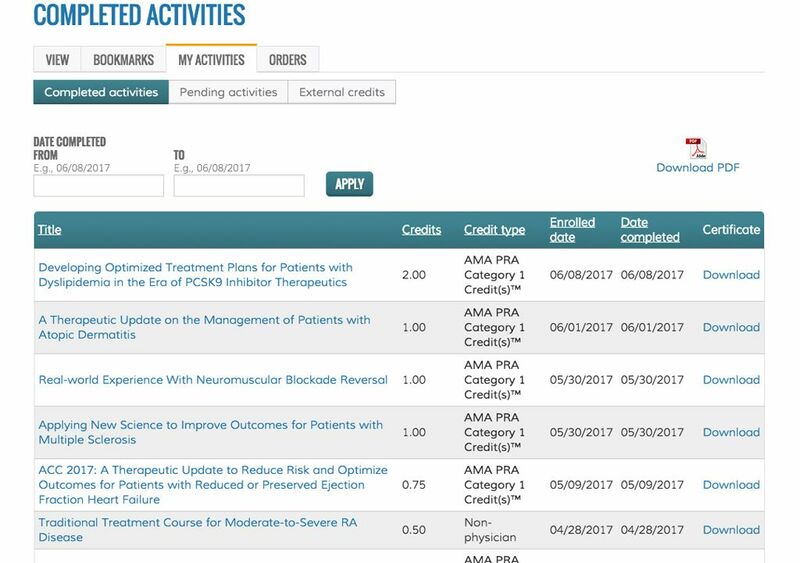 Create your own credit types and apply to curricula certifications or just certify a single course. Create your own credit types and apply one or more to any course or group of courses in the LMS. Set a number of credits per course or curriculum. Use variable credit claiming based on time spent in the course or set a fixed amount. Set credits to expire and adjust expiration logic to fit your needs. 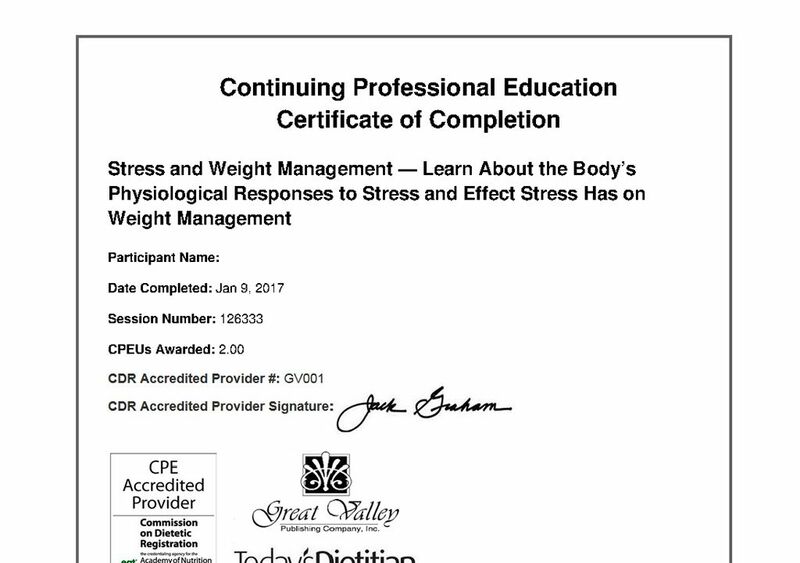 Award, track and manage CE, CME, CNE and other CEU credits. Have a bunch of courses? We’ve got a way! Sometimes a single course just isn’t enough to meet your learning objectives. 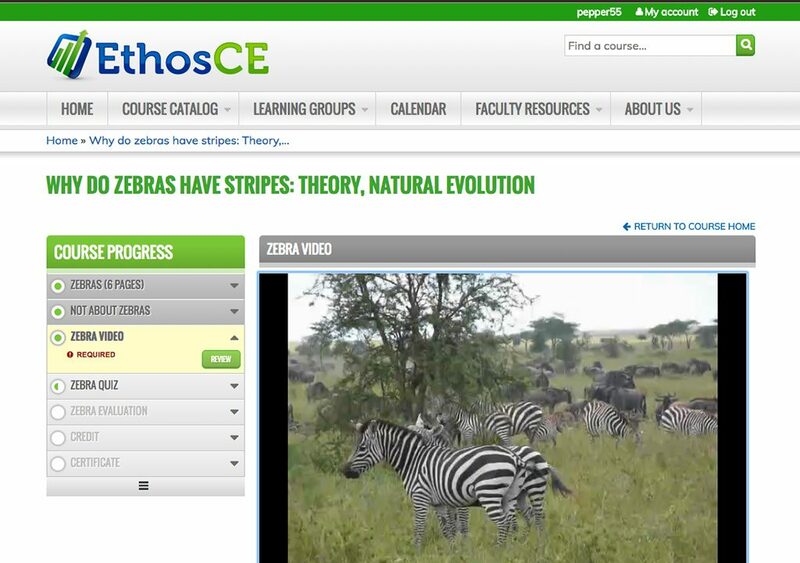 With curricula, you can group courses and track completions in EthosCE LMS. Require partial or full completion of linked courses to meet curricula requirements. Enforce the order of courses that a user must complete. 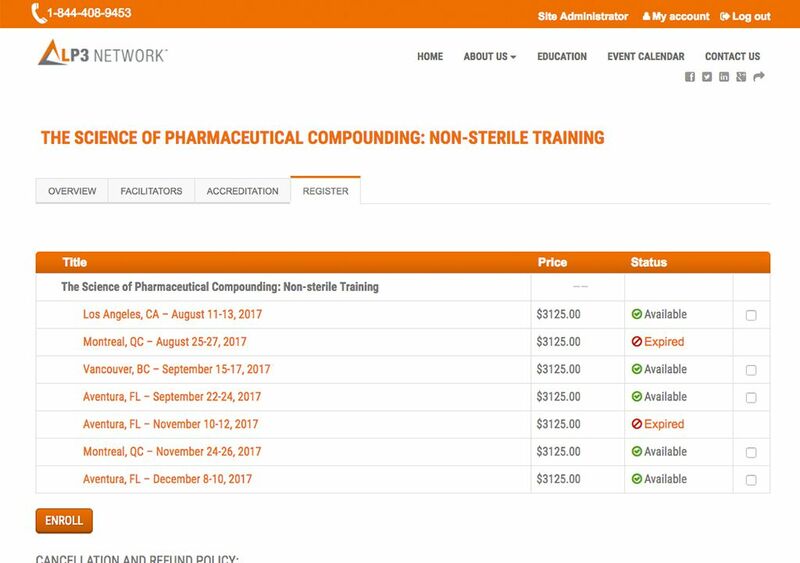 Allow users to purchase or enroll individual or all courses. Apply credit and certificate to the entire curricula or just the courses contained within it. Take your learning offline … to the classroom or conference center. Create a live course and track offline learning in your LMS. Track what your users did offline in the same place as your online learning! Create registrations and course information pages. Track and enforce attendance as part of completion. Allow an instructor to set a pass/fail status based on offline events. Email reminders of upcoming events. Integration with event management software. Record attendance via mobile phones.